A dark grey polished plaster panel. 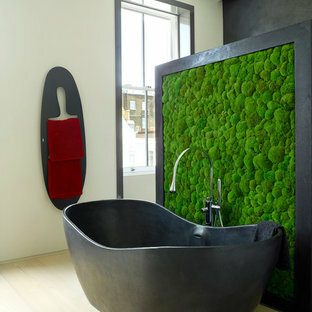 with inset petrified moss, separates the shower and WC areas from the bathroom proper. 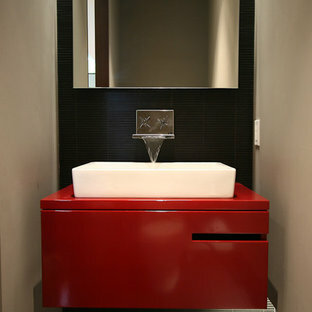 A freestanding 'tadelakt' bath sits in front. This was a great piece our client found at a junk shop. 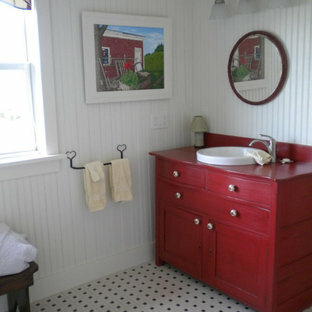 We refurbished it in a shocking red and added an antique glaze. Eclectric Bath Space with frosted glass frameless shower enclosure, modern/mosaic flooring & ceiling and sunken tub, by New York Shower Door. Minimalistic, modern and clutter free. 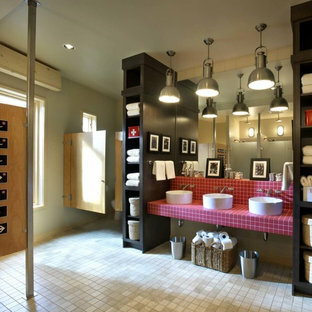 Ample of space to keep all your toiletries hidden away. His and Her sinks for private washing space. Hanging mirrors so the view in not obstructed. 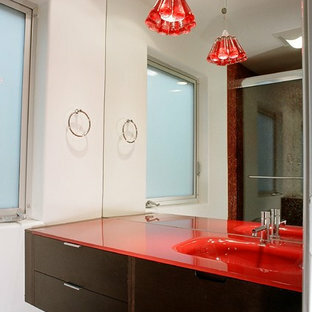 Hazed glass doors to ensure natural light flows through but privacy remains. 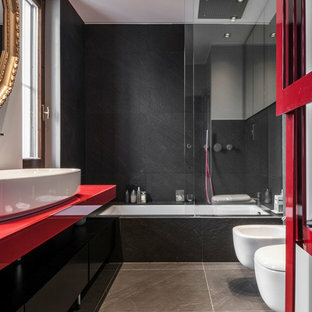 The fresh & clean look of white with the bright red accents. A bathroom for two siblings: The tranquility of the straight, clean lines, uncluttered counter spaces and geometric shapes dominates this style. 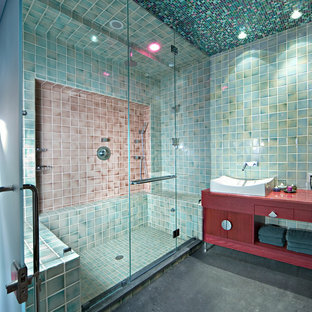 the dash of color for the warmth, the practicality of a long vanity overlooking the Hills and the two showers for privacy. 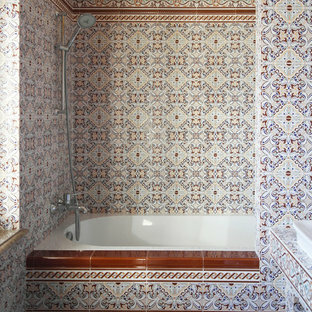 It saves space yet combines all elements for a bathroom sanctuary.